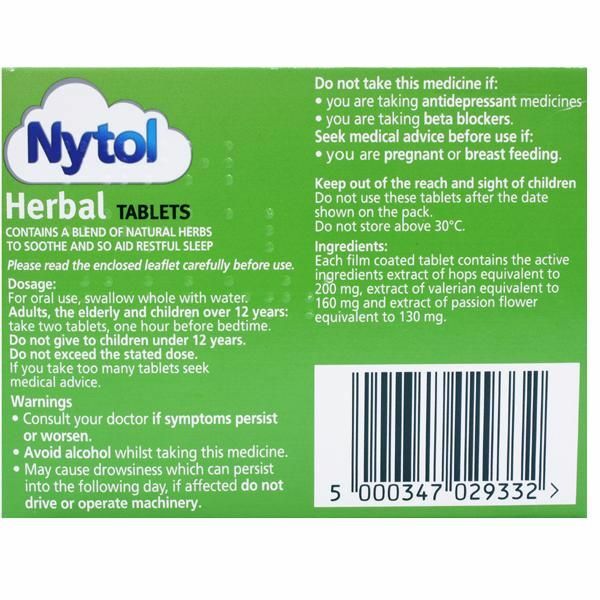 Nytol Herbal is traditionally used for sleeplessness and could be ideal for you if you'd prefer to try a herbal remedy. 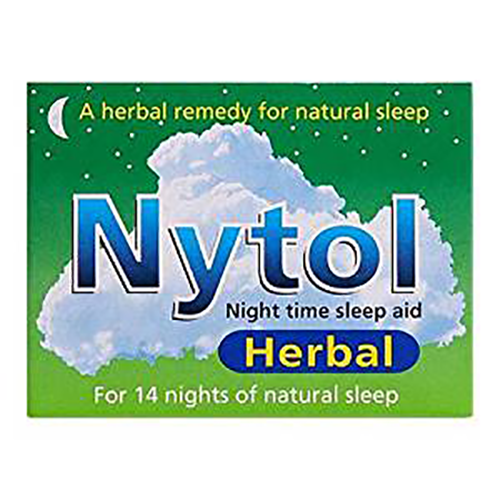 If it's a gentle nudge towards dreamland that you're after then Nytol Herbal could be a good place to start as it is traditionally used to help you to drift off to sleep. Directions for use: For oral use. Swallow the tablet whole with water. Do not chew. Dosage: Adults and the elderly: 2 tablets 1 hour before you go to bed. Not recommended for children or adolescents under 18 years. Do not use these tablets after the expiry date stated on the pack. Do not store above 25◦C. Store in the original package.